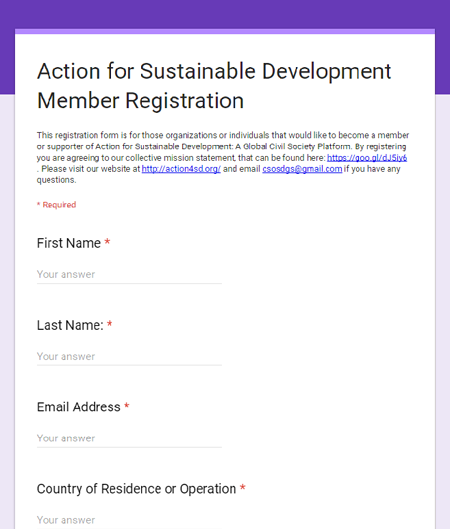 This registration form is for those organizations or individuals that would like to become a member or supporter of Action for Sustainable Development: A Global Civil Society Platform. Please click on the form to the right (you’ll be brought to a new page) and fill in all required fields. If you don’t want to become a member, but would like to receive updates about the platform, join our mailing list here.